Robert is a geologist with broad research interests, but a soft spot for understanding how a changing landscape affects the life that occupies it. 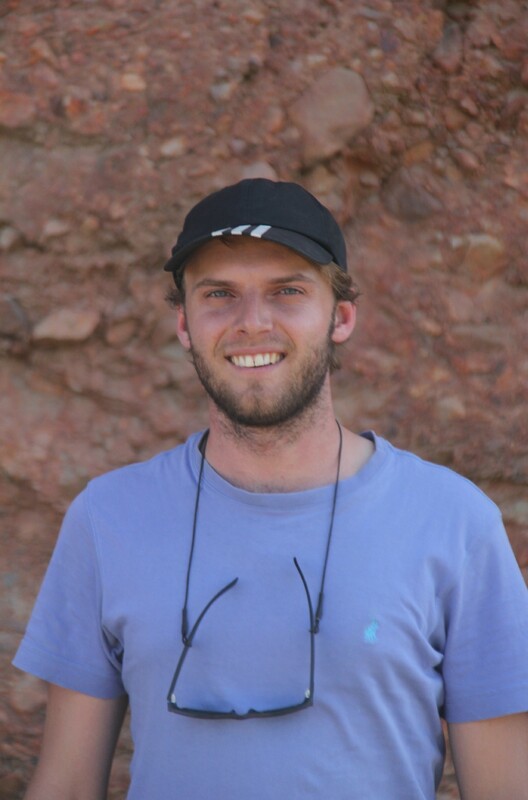 He is currently working on recalibrating the tectonic events that occurred during the breakup of Gondwana and determining how African landscapes have changed through time. Typically, he uses radiogenic isotopes in conjunction with field-observations (sedimentological, structural or palaeontological) to answer research questions, either by dating important stratigraphic units, exposed surfaces, or determining a rock’s thermal history. 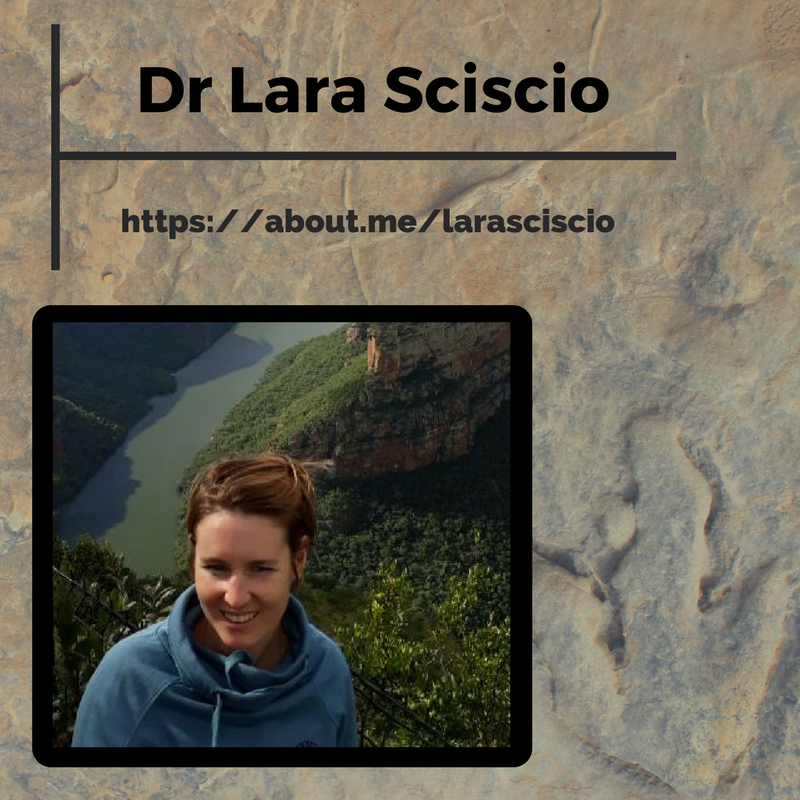 Lara is interested in the end-Triassic mass extinction and the explosive diversification over the Triassic-Jurassic boundary as represented by the rocks within Southern Africa. 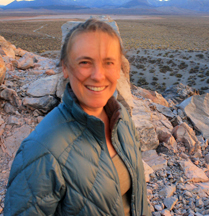 Her efforts range from palaeoclimatic reconstructions to ichnological heritage as it pertains to palaeoecology and faunal diversity. Additionally, she enjoys constructing a magnetic polarity timescale over the Triassic-Jurassic interval in Southern Africa. 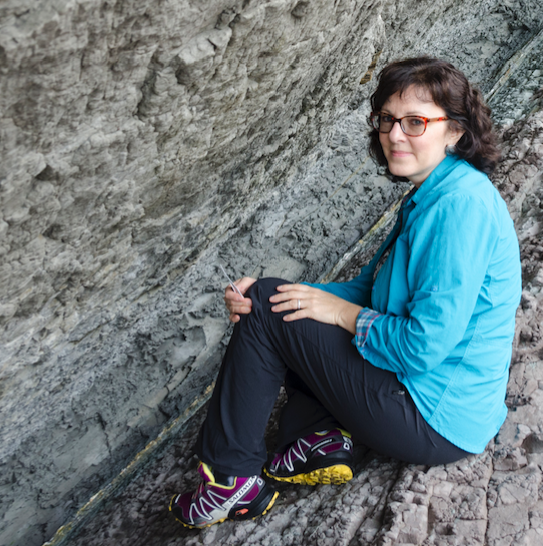 Her research interests lie in sedimentology, magnetostratigraphy and ichnology. Dr Doyle has been awarded a Scarce Skills Development Fund Programme Postdoctoral Fellowship by the Department of Higher Education and Training (DHET) through the National Research Foundation (NRF) in order to pursue the study of meteorites while based in South Africa. Trish is interested in early Solar System processes and will be investigating both accretion and parent body processes. 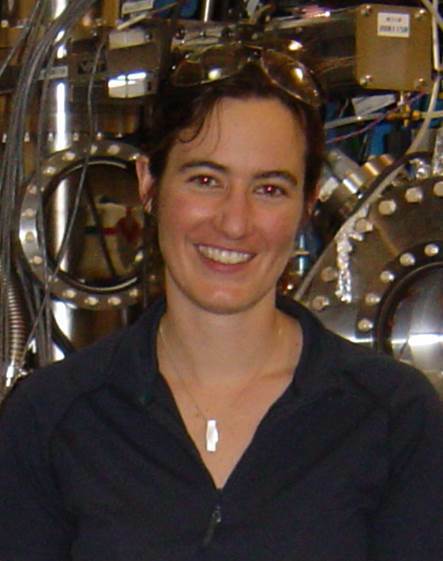 The tools Trish uses include: Electron microscopy; experimental petrology; secondary ion mass-spectrometry; X-ray and neutron diffraction; and synchrotron-based techniques (XANES; XPEEM). 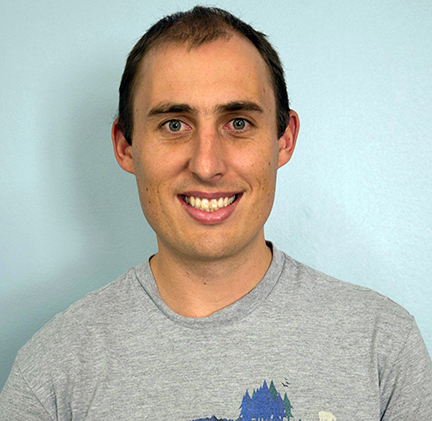 Richard is a geophysicist, with particular interests in local and global seismology. He has been instrumental in developing passive seismology at UCT and is currently involved in geophone deployments in Ceres-Tulbagh and in the Karoo. Richard studied mathematics and physics at UCT before completing his PhD in geophysics in Cambridge, where he used active and passive source seismology to investigate the kinematics of a propagating segment of the Mid-Atlantic Ridge. He particularly enjoys numerical modelling and developing seismic imaging techniques; a recent project involved applying ideas from seismic tomography to imaging diamonds in eclogite xenoliths using X-ray CT-scanning. After having joined UCT in 1989 as lecturer in metamorphic geology, my research interests have been on low grade metamorphism in general, with regional focus on the Gariep and Saldania belts in southern Namibia/South Africa and the Witwatersrand Basin. While working at UCT full-time I was also leader of the geoscience component of the South African National Antarctic Programme and as such involved in studies on the structural evolution of medium- to high-grade terrains in Western Dronning Maud Land with comparative studies on the Namaqua-Natal metamorphic belt. Since taking up a professorship at the University of Würzburg in 2004, this work has been continued with further projects on the Shackleton Range and currently on ultrahigh-temperature metamorphism in the Southern Granulite Terrane of India. As co-leader of the IGCP 478 on “Neoproterozoic-Early Palaeozoic Events in SW-Gondwana", initially started from UCT, I became involved in a number of projects on the interplay between tectonics, climate change and metallogenesis. The study areas range from eastern South America, central and southern Africa to China. A follow-up to that project has been the still on-going work on the reconstruction of the main lithospheric anisotropies that led to the opening of the modern South Atlantic within the framework of the German Priority Programme SAMPLE (“South Atlantic Margin Processes and Links with onshore Evolution”) in cooperation with UCT. My main research interests have been in the field of economic geology and mineral deposit research. This has included studies on the genesis of carbonate-hosted magnesite and siderite deposits, several sediment-hosted base metal ore districts, and foremost the genesis of the Witwatersrand gold deposits and similar styles of mineralization elsewhere in the world. More recently, this has been augmented by studies on different types of uranium deposits, and on economic geological forecasts. The latter includes mineral potential mapping for certain commodities as well as forecasts on future availability of non-renewable mineral resources. Dr Christie Rowe is structural field geologist, specializing in the rock record of earthquakes, including some types of ore deposits. She was lecturer of Structural Geology at UCT from 2006 to 2009 during which time she was involved with many research projects all over subsaharan Africa and locally in the Cape, with detailed studies into the nature of deformation within the Cape Fold Belt and associated rocks. Her projects in the Naukluft of Namibia have been ongoing with UCT students often providing field and research support on her visits. Dr Rowe is currently Assistant Professor and Robert Wares Faculty Scholar in Economic Geology at McGill University in Canada. A link to her research group can be found here. Roger Smith was born in Cambridge, England and came to South Africa in 1976 after graduating in Geology and Zoology from Manchester University. He joined the South African Museum in 1983 and gained his doctorate through the University of Cape Town in 1990. Since then he has been a researcher/curator in the Department of Karoo Palaeontology, working on numerous projects under the general title of “Palaeoecology of Gondwana”. 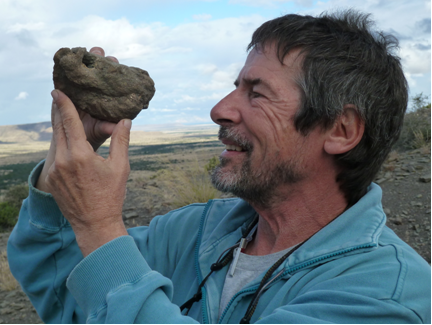 Roger’s research is mainly field-based and integrates palaeontological and sedimentological data into palaeoenvironmental reconstructions of ancient landscapes- especially in dramatic changes that took place in the Karoo Basin during the End-Permian mass extinction event. Dr. Taylor is a Honourary Research Associate in UCT's Department of Geological Sciences where she conducts palaeontological research on the Devonian Bokkeveld and Nama Groups in South Africa. She is also part of Digermulen Early Life Research Group through the Tromsø University Museum, Tromsø, Norway, studying the evolution of early life across the Ediacaran-Cambrian boundary in Finnmark Norway. At UCT she is co-supervisor of two MSc projects and works with the UCT Schools Development Unit and the Iziko South African Museum to design elearning geoscience programs. Wendy is also a Faculty Research Associate in the School of Earth and Space Exploration and a Curriculum Developer for the Immersive Virtual Field Trips (iVFT) project at the Center for Education Through Exploration (ETX). She has been employed at ASU since 2006, where she served as an Instructional Specialist for NASA missions to the Moon and Mars and as the Education and Public Outreach Lead for ASU's Astrobiology Program and the Center for Meteorite Studies. She also worked as the Education and Public Outreach Coordinator for the EarthScope National Office at ASU. Wendy began her career in research and collections at several major natural history institutions including the Paleontological Research Institution, The Field Museum and the University of Chicago.